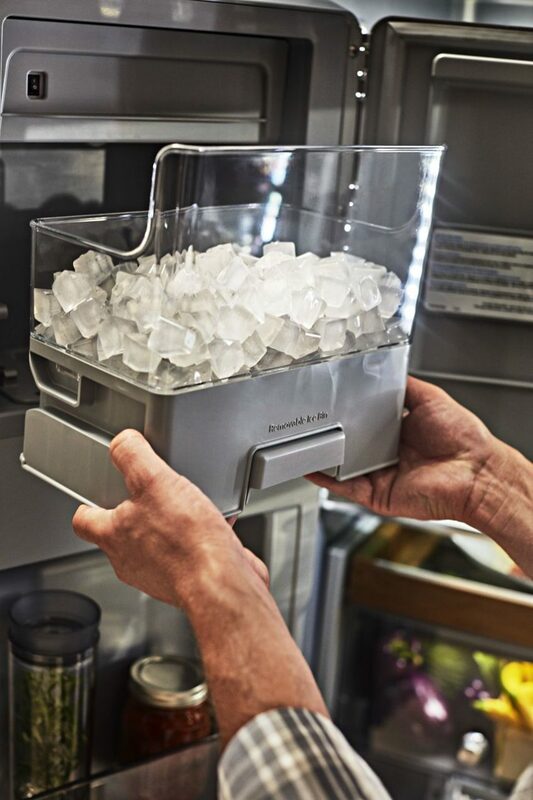 If you have a refrigerator with built-in ice and water dispensers, they are quite the convenience for your home and family. However, it can be frustrating when you press down on the ice paddle only to receive…Water. That is something you really only want your water dispenser to be doing. Adding to that frustration, if you open the freezer and find an ice dispenser full of ice cubes, it can be confusing. So why is your ice dispenser only giving your water instead of the ice that it clearly has made? When you press down on the ice paddle only to receive water, what is happening is actually pretty normal. In truth, most refrigerator models make it so if you press the ice paddle hard enough, it will actually activate the water line. So what is happening is you press the ice paddle, nothing happens, you then press it a little subconsciously harder, and it in turn activates the water line as a sort of way to tell you something is not working. It is essentially a way of telling owners that there is something wrong with the ice maker so they don’t break the paddle. If your freezer is full of ice that is already made, then this will help you with your diagnosis. First, before doing anything else, you should check the ice chute for a clog. However, even if it is clogged, you should still hear noises of the ice maker trying to activate only to fail due to a clog. If you hear no noise and see no clogs, then the most likely culprit is the ice paddle itself. It is likely that the paddle is broken and thus not activating the ice chute. By removing the panel, you can easily replace the ice paddle to get the ice maker working as designed again.